Soft and sophisticated! 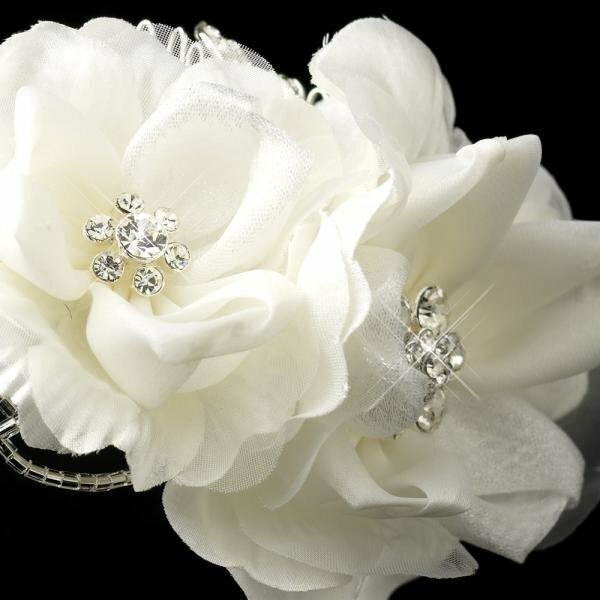 A side accented headband that features two dainty flowers, rhinestone encrusted flowers in the center, clear bugle beads, Swarovski crystals and rhinestone leaves. 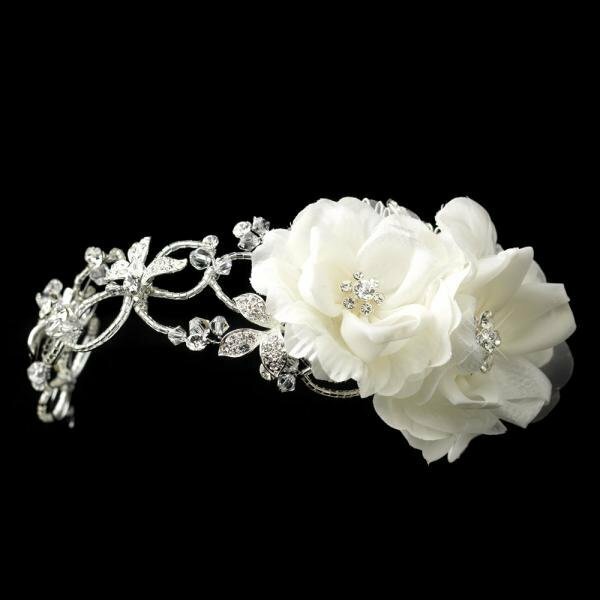 This side accented headpiece is not only utterly exquisite but will make a memorable piece on your wedding day and add style to your wedding hairstyle.